or reach out to your local Representative for back to school training. for the new school year. course for teachers, school leaders and education specialists. This guide covers the basics of learnON, from how to log in, navigation, finding the teacher resources, accessing the reading content and questions and more. 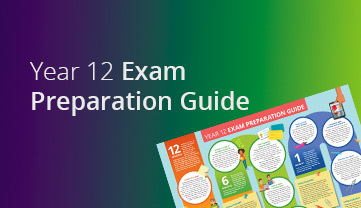 This Year 12 Exam Preparation guide is designed to set your students' up for success by outlining key study milestones throughout the year. 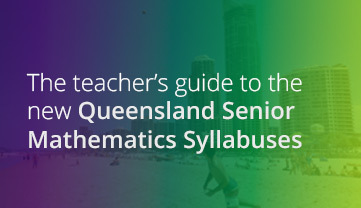 Let Shirly Griffith, Director of Publishing, give you her expert knowledge on the new Syllabuses in this definitive teacher's guide. 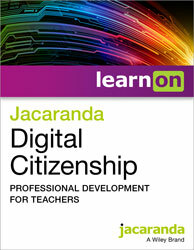 Collaborative participation with practising teachers and expert authors ensures all Jacaranda titles provide 100% coverage of the curriculum. Integrated media, differentiated questions and up-to-date content help deepen students’ interest and understanding of the material. Cloud-based technology makes 1:1 learning a reality so all learners can enjoy instant access to all resources, on any device, anytime and anywhere. Accessible pricing and bundle solutions of 10+ resources at one amazing price mean that students from all schools can afford to learn better. 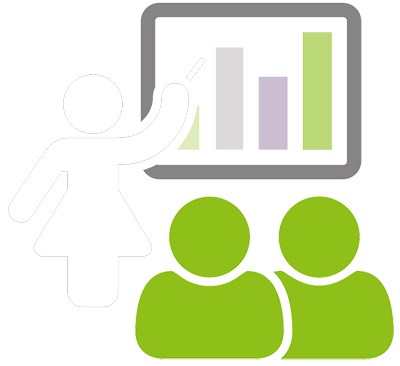 An intuitive layout, user-friendly design and in-depth teacher resources minimise disruptions to teaching and learning. Useful insights into students’ behaviour, understanding and cognition help teachers teach better and learners learn better. 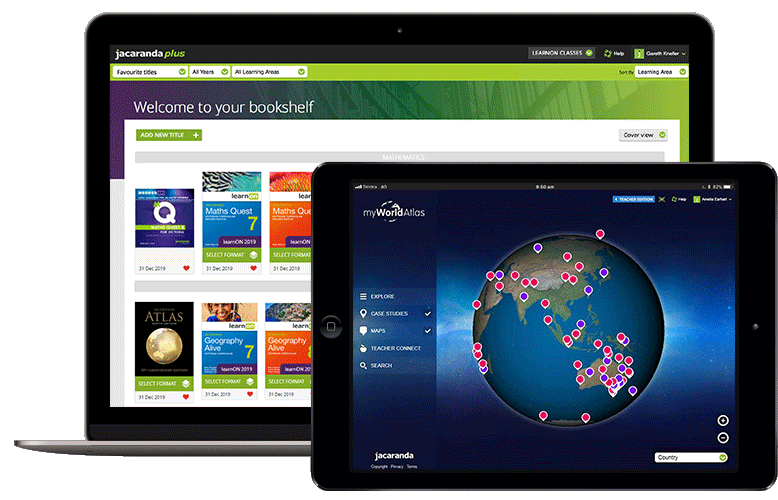 Government, independent and religious schools of all sizes and budgets have used Jacaranda resources in the classroom. Jacaranda has helped 160+ schools make the switch. Read the case studies below to learn how Jacaranda digital solutions make it easy . We share your commitment to helping students achieve their full potential.